The European A ction Week Against Racism is coordinated by a network of non-governmental organisations, called UNITED for Intercultural Action. The week takes place every year on 21st March, in the context of the Day of Fighting Racial Discrimination, which was established by the UN. It is important to promote in the society the idea of tolerating and respecting all people, independently on personal needs and feelings; paying attention to a person and his or her dignity, without considering social differences that is ethnic origins, skin colour, health condition, religion and philosophy of life, subculture membership, financial status, sexual orientation, intellectual development or work performed. The most important thing is to become aware of the fact that every person deserves respect. This year, the European Foundation for Human Rights (EFHR), for the second time supporting the initiative of the UNITED network, traditionally participated in the Day Against Racism by placing its stand in the centre of Vilnius. Despite the fact that the day was chilly, the interest was huge. People walking on the Gediminas Avenue were willingly stopping by at the EFHR’s booth. During the action, the Foundation was distributing informational leaflets about EFHR itself, the Fraternite2020 initiative and informational material about fighting discrimination and racism, prepared by United. To initiate cooperation, a few NGO organisations and Lithuanian media were contacted. 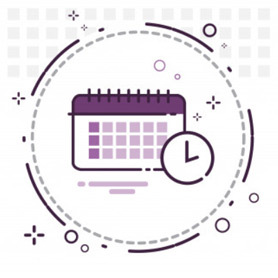 Interested persons could obtain free legal advice, given by lawyers working for the Organisation, and they could make an appointment to meet in the premises of the Foundation. Legal advice about the criminal law and protection of private life was given. Additionally, a very interesting discussion on human rights and NGOs and their activity in Lithuania was initiated. We thank all those, who were with us and we encourage you to fight racism and discrimination actively. 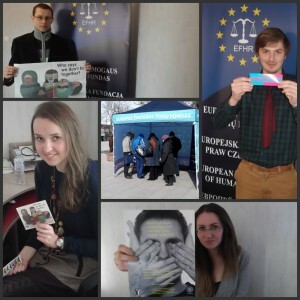 All people interested in our lawyers coming to their institutions or cities to provide free legal help on human rights are asked to contact us at efhr@efhr.eu (http://www.efhr.eu/kontakt/).